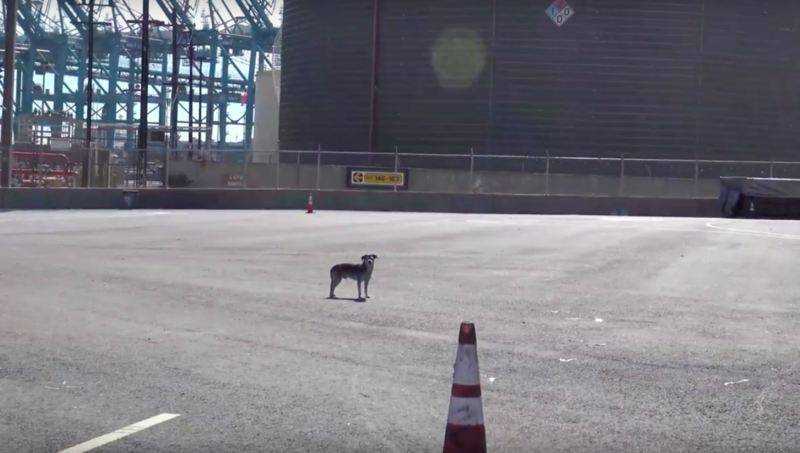 A stray dog was discovered two years ago at The Port of San Pedro. People tried to catch him, including animal control, but he always ran away. He was all alone, but survived off food scraps that security guards would feed him. Hope For Paws, an animal rescue, decided to help. Since the port was wide open, they figured trapping him was their best option. But this was no easy task. The dog was much too smart, so they had to come up with a better plan. 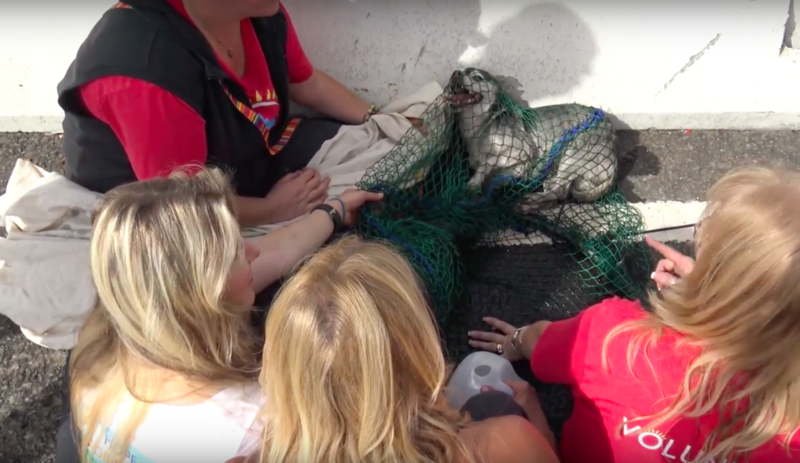 Days went by, and Hope For Paws asked Rescue From The Hart to help them catch the pup. Volunteers secured the area using nets and temporary fencing, so that the dog couldn’t slip out. As more volunteers arrived, the dog came out of hiding. The dog began barking at them, growling, and tried to run away, but they managed to catch him with their snare. He struggled to get out of the net, and was terrified, but they gave him a chance to relax and tried to gain his trust. He hadn’t been touched in two years, so he forgot what love felt like. Eventually he allowed them to pet him. He was actually very sweet! They gave him water and stayed by his side. They fittingly named him Houdini for being the great escape artist that he is! 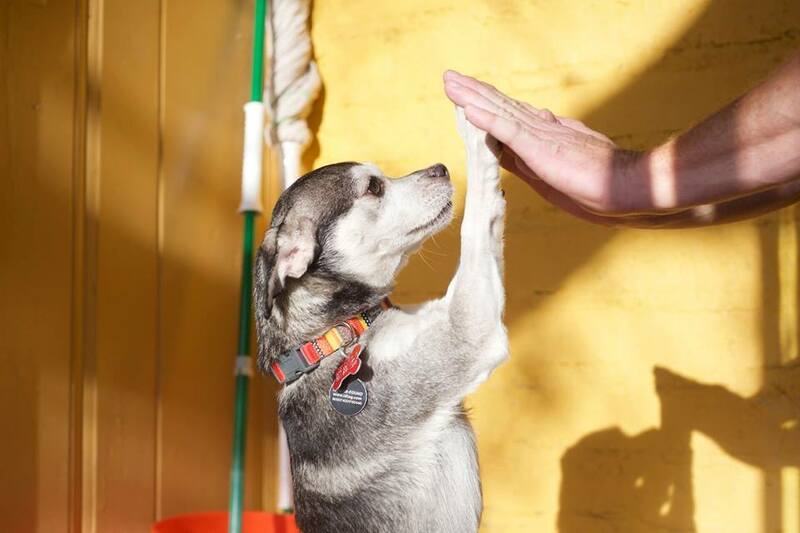 After evading humans for two years, Houdini was finally headed to safety. They bathed him and gave him lots of love. 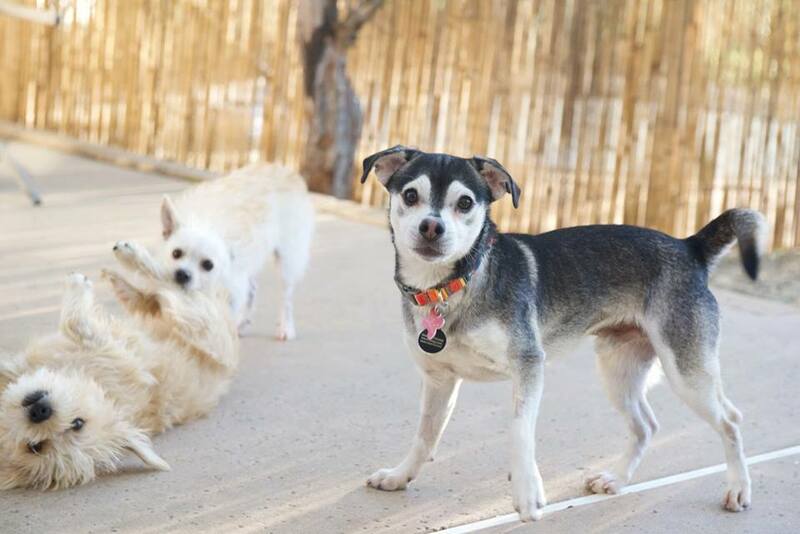 After he was neutered, he joined Rescue From The Hart to foster. He has since found a loving forever home!